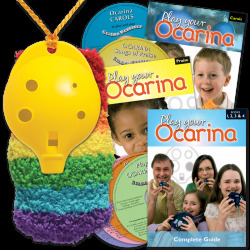 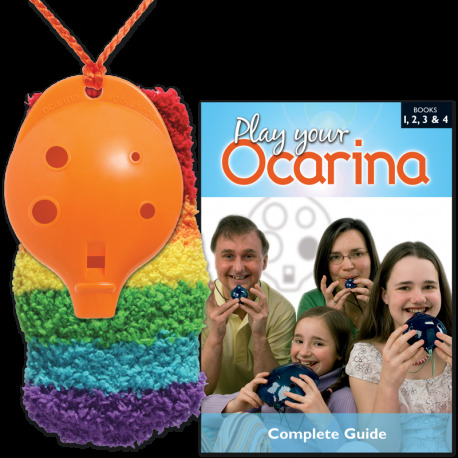 All four 'Play your Ocarina' books in one volume, together with the 'advanced' 6-hole Oc and a soft and stretchy OcSock to protect your Oc. 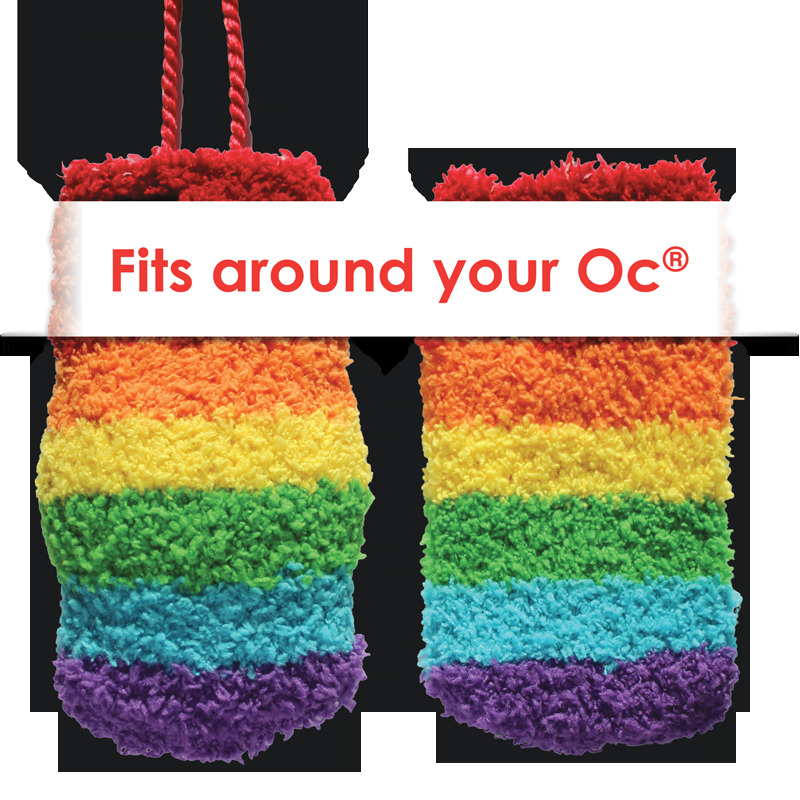 The 6-hole Oc is robust, well tuned and a pleasure to play. 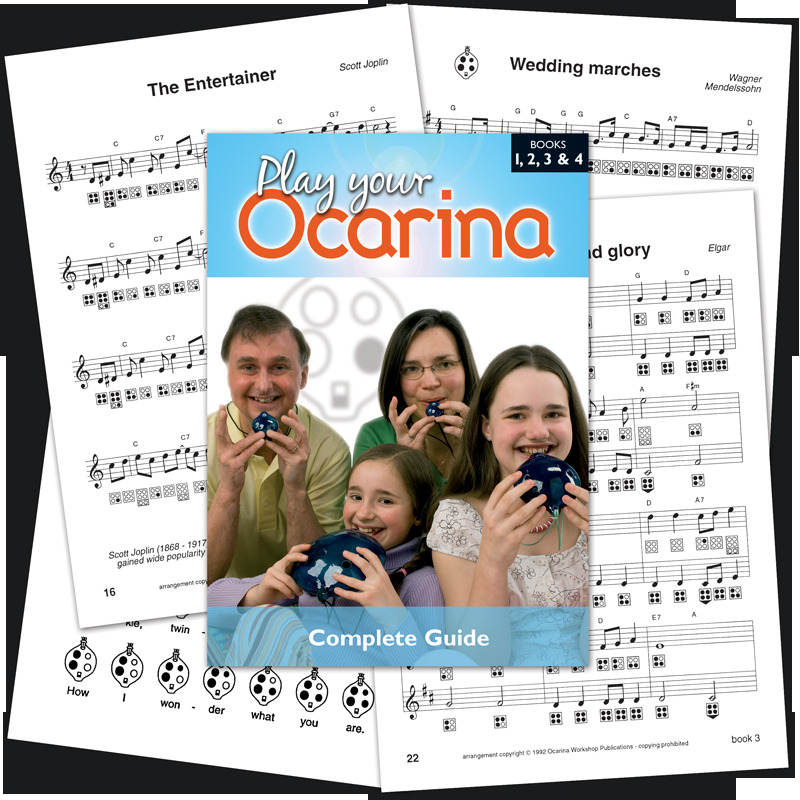 Follow the charts to progress from 'Old MacDonald' to Elgar's 'Land of Hope and Glory' through a colourful variety of different musical styles. 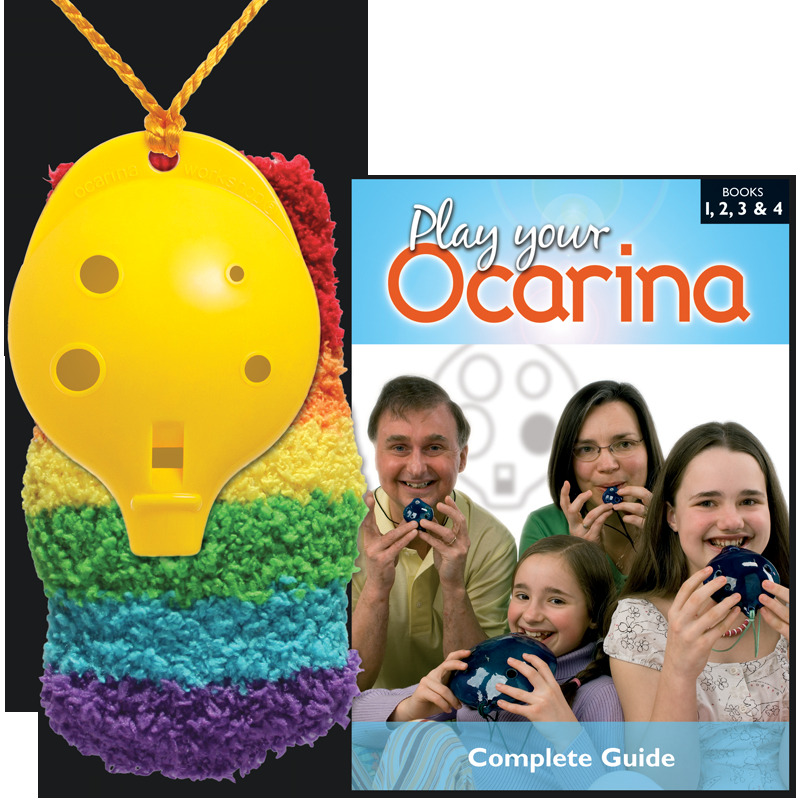 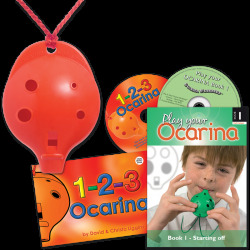 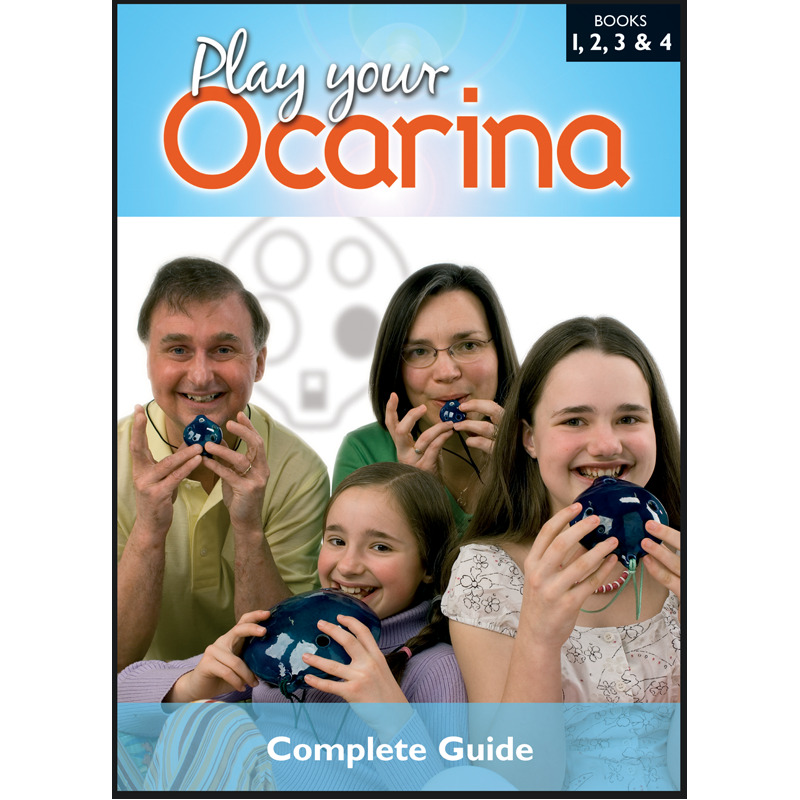 Dip into easy and ambitious levels of playing and enjoy the 88 substantial pieces of music in this 128 page bumper volume – Play your Ocarina Books 1, 2, 3, & 4. 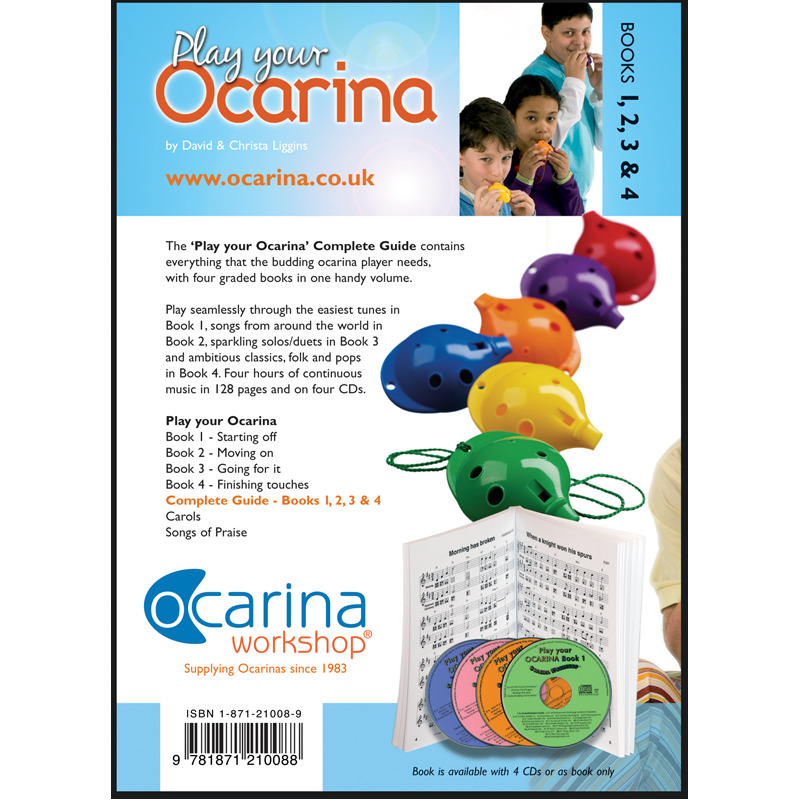 6-hole Oc® made in the UK for Ocarina Workshop from impact-resistant plastic.